Let us help your company address the demands of an increasingly globalised world. Our highly experienced instructors are able to further your company’s global reach by offering customised private, semi-private or group lessons that are specific to your company’s needs. Suitable for all fluency levels of your staff. Customised to private, small or medium-sized group learning. Tailored to your company’s language skill level. Flexible to accommodate your courses either at our facility or at the convenience of your office via in-person or online lessons. Interested in registering for a customised corporate lesson? Book the right lesson from the buttons below. Advance to next fluency level! I need to learn a language quickly for my new job position. What options can you offer? This is actually a very common request we receive. 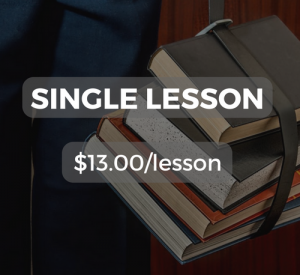 For this circumstance, we recommend you register for our Private, 1:1 lessons. Let’s say you need to learn as much as possible over a period as short as two weeks. We can offer as much as three-hour lessons/day inasmuch as 5 days/week to help further your fluency level. Should you want a more stringent or relaxed curriculum, that’s also an option. Simply write us in our Contact Us page to specify your needs. Is it possible to learn a language with a group of my colleagues? Of course! We actually find that learning with familiar faces helps the learning process by creating a friendly atmosphere while harnessing the benefits of peer motivation. We highly encourage group registration! I want to learn a language with some colleagues but we’re all at different fluency levels. Is there a way we can still be a part of the same language lesson? 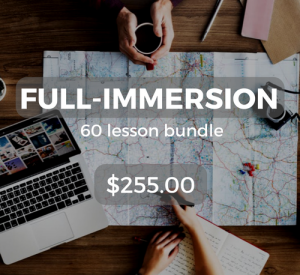 Typically, for your colleagues who need more language instruction, we would offer private lessons at a faster teaching speed. This would prepare them for the level of your customised group curriculum. What is your cancellation policy regarding previously-paid for lessons? Our cancellation policy is simple: notify us within 24 hours of your scheduled lesson in order for us to reschedule your lesson for another time. Unfortunately, any notification within the 24-hour window will result in a loss of lesson with no ability for a rescheduled lesson as form of compensation. How can I pay for a corporate lesson? Simply click on the desired lesson-type and follow the checkout procedure. We currently accept payment in four methods: cash, bank transfer, PayPal, and credit/debit card. For payment in credit/debit card, follow the checkout procedure as if you were paying via PayPal. When prompted, click on the “Pay with credit/debit card” button rather than create a PayPal account. Still have a question? Drop us a line in our Contact Us page and we’ll be sure to get back to you as quickly as possible!